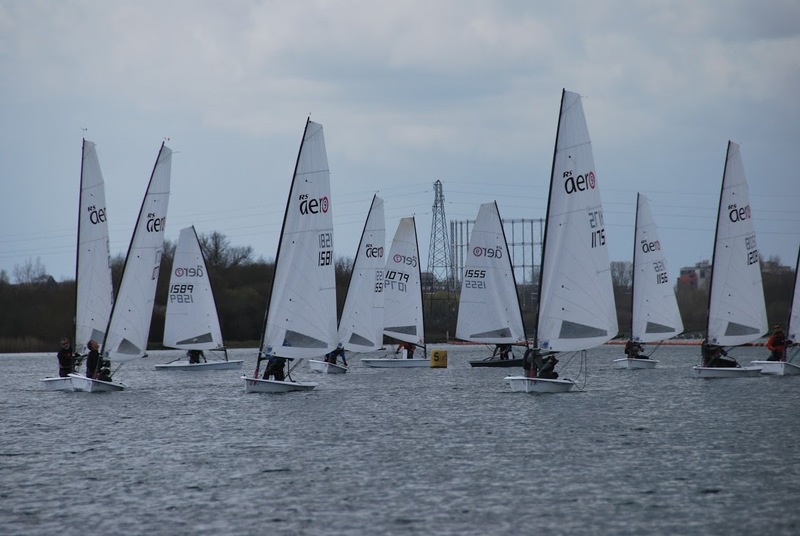 Reading Sailing Club held their second RS Aero Open meeting on a typically tricky April day, many remembered the gale that raged during their first one in March 2015! The forecast was variable with expected winds from the west of 9 - 12 knots. This was good news as it meant it would be blowing straight down the lake. 14 boats entered with a strong contingent of nine 9 rigs with many of the visitors manning up for the light to medium conditions. 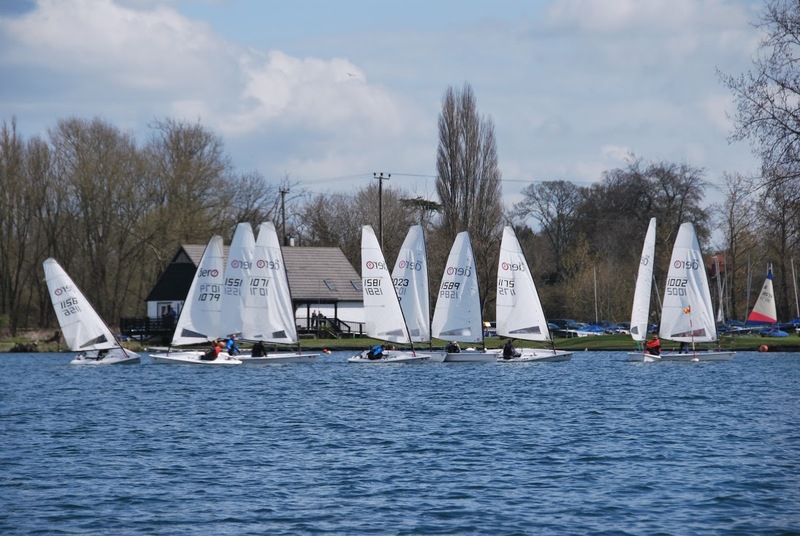 The fleet had 5 boats from local Thames Valley club Burghfield and visitors travelled from as far as Alton Water, Chew, Lymington and Chelmarsh. The atmosphere was very informal and relaxed as the sailors launched. With really shifty winds Race 1 took time to get under way with 2 general recalls as the bias switched from port to starboard. It was a race officer’s nightmare! So to assist the unusual step of introducing flag Z seemed to do the trick with many of the competitors wondering what the flag was for and pondering if the black flag had in fact been left onshore. Race 1 was closely contested with Ben Rolfe taking honours from Peter Barton with Rolfe Snr in third. It was noted local legend Paul Robson capsized before the start. Race 2 was equally as variable both in wind strength and direction. 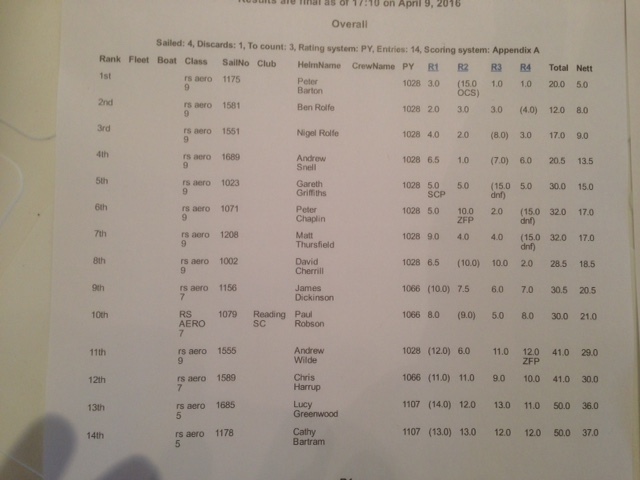 Peter Barton was OCS which enabled Andrew Snell to take the honours in another closely contested race. After lunch conditions had changed. Still very shifty but the wind had increased in strength. Peter Barton romped away in race 3 leaving the pack to fight for the other places behind. Peter Chaplin doing a crafty manoeuvre took full advantage of a shifting in the wind and took second place with Ben Rolfe in third. Race 4 was greeted with a squall with winds of 16 knots and heavy driving rain. Peter Barton again showed his skill in winning the race but his early lead was cut down to a mere boat length with David Cherrill of Broadwater making a late appearance. Team Rolfe were not far behind taking 3rd and 4th places. 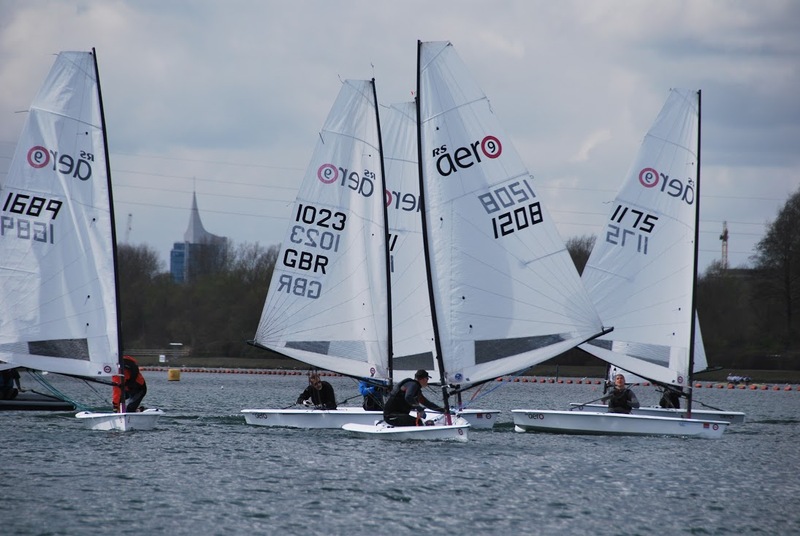 Overall Peter Barton of Lymington took honours in the 9 fleet and overall. 3 points behind him was Ben Rolfe followed by Nigel Rolfe in third. In the 7 fleet James Dickinson led from Paul "the capsize" Robson. In the 5s Lucy Greenwood won although father, Steve, does need to invest in some wellies to help with launch and recovery! pastingThanks to the club and their enthusiastic team of volunteers for what was a great day’s sailing with close racing in shifty and changeable conditions at Reading’s ‘best kept secret’. 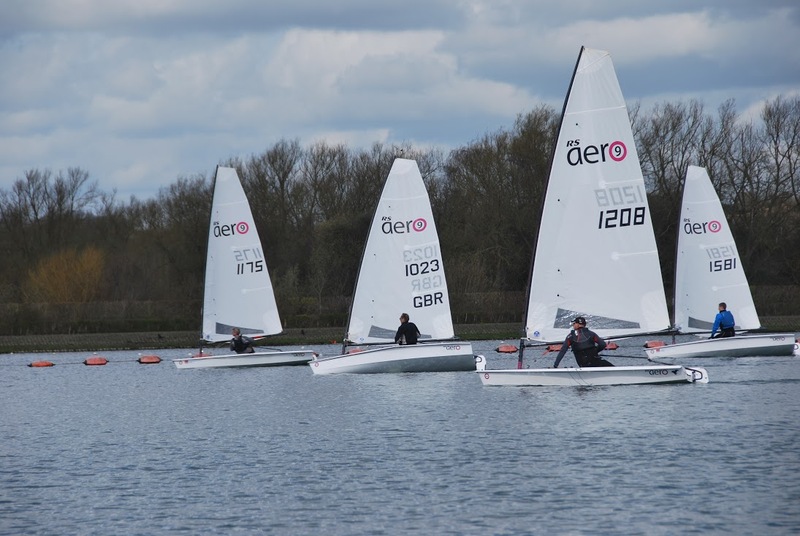 Next up on the UK Calendar is the Broadwater Open on Sunday 24th April (near Rickmansworth) before the Northern and Southern Circuits kick off with the first event on the Northern Circuit at Yorkshire Dales SC on Sunday 8th May.